Do you have loads of cleaning up to do in time for the holidays but just don’t know how you will quickly dispose of all that trash? Well maybe you should consider MINI dumpster rental as this is an affordable and versatile solution that can adequately manage all your junk disposal needs. When people do their holiday cleaning they usually have loads of stuff to throw away including large bulky items like furniture, beds and large appliances which tend to be lots of hassle and leaves the outside of your home looking like a junkyard. Well most people usually contract the services of a waste removal company to deal with the removal and disposal trash. Why fuss trying to find clean up services for your holiday cleaning when MINI dumpster rental can be an easy solution to all your waste disposal and cleanup concerns. MINI dumpster rental serves to address several waste disposal concerns like the facilitation of large bulky waste, the disposal of heavy items and quick, easy, transport and processing. When searching for MINI dumpster rental services for holiday cleanup the best option would be to source these services from a local company. Dumpster rental companies can properly and more efficiently provide you with what you need. Essentially this option helps people to avoid the high cost and inconveniences associated with far out dumpster rental services. Here at Junk King we place MINI dumpster rental services right at your fingertips as one of our many fantastic services. Here we make it easy to locate a MINI dumpster rental near you since we operate a series of local franchises throughout the country. 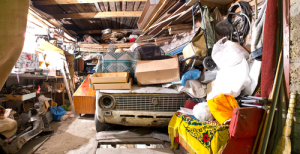 We are ready to assist you with all your junk removal. With top rated professional service and fantastic rates managing cleanup for the holidays has never been easier. A majority of the junk removal companies operating today offer reasonable rates for their services however, though it may seem like they’re giving a fair deal people usually end up having to face a multitude of hidden fees which most likely result in high dumpster rental bills. Well here at Junk King customers won’t have this issue since we guarantee that customers enjoy transparent pricing with terms that are easy to comprehend. Apart from this we also believe that MINI dumpster rental rates should cater to your every single need without the burden of additional fees. This is why we only charge for the space used in MINI dumpsters and extra charges are only incurred if the dumpster overflows. Don’t be caught off guard by hidden fees or have to wait long periods for service from far out junk removal companies. Let Junk King be your #1 choice. Look us up in a city near you.Dumpster rental is a great solution for all your holiday cleanup and waste disposal needs. So to get started with your dumpster rental visit our website at: www.junk-king.com and save $30 or call us at 1-888-888-JUNK to schedule an appointment right away. This entry was posted in Uncategorized and tagged cloverdale junk removal, duncan mills junk removal on November 20, 2017 by Julian Torres, "JT". Last updated December 4, 2017 .